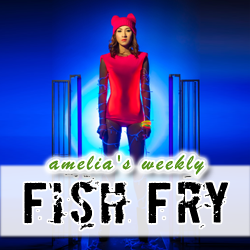 Wearable technology is the name of the game in this week’s Fish Fry. First we check out how the National Physical Laboratory in the United Kingdom is hoping to revolutionize wearable technology – one silver-coated fiber at a time. We also look into Newark element14’s “Get Closer” Wearables Challenge and investigate how the AdaFruit FLORA computing platform can make your next wearables design dream a reality. We’re giving away a PSoC 4 Pioneer Kit courtesy of Newark element14 this week! Enter today! Click here to enter to win a PSoC 4 Pioneer Kit courtesy of Newark element14.